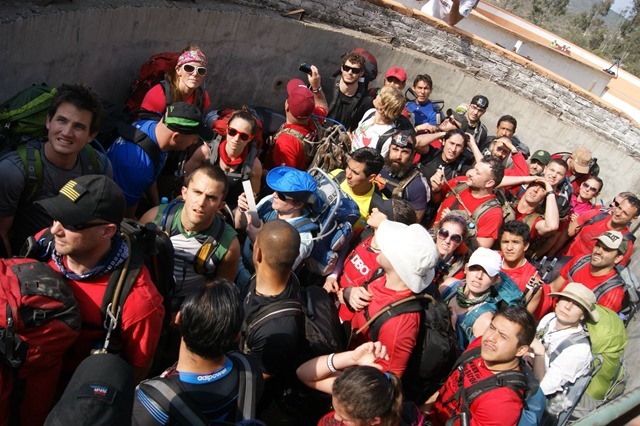 The Death Race is designed as the ultimate personal challenge, and to present you with the unexpected. It is designed to challenge you physically, mentally and emotionally, and is the brainchild of Joe DeSena and Andy Weinberg. 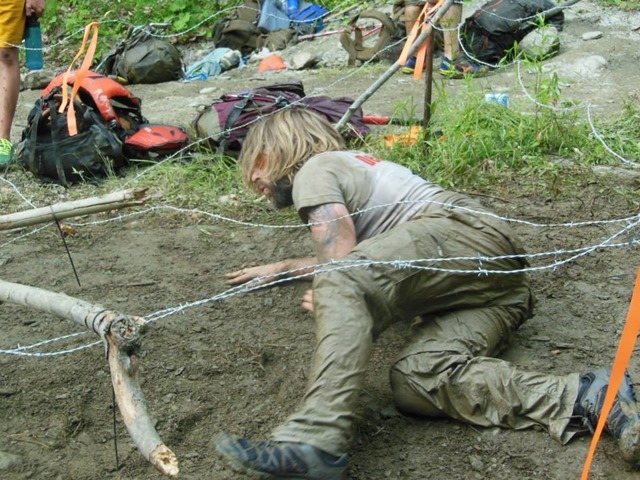 Traditionally set in the heart of the Green Mountains of VT, specifically in and around the town of Pittsfield, VT, it is a multi-day event with a number of physical and mental challenges that all change significantly from year to year. So how can someone describe an event where you should expect the unexpected? Well despite the unpredictability of the specific events there is a common thread that typically runs through the Death Race, and this post will attempt unravel some of that thread. At the time of writing, by the way, there are four variants of the race. 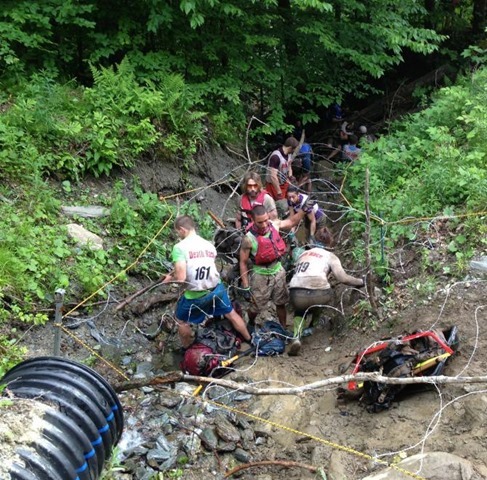 The original is now called the “Summer Death Race” and is typically held in VT in June. A few years ago the “Winter Death Race” was created, and this is typically held in VT in February or thereabouts. 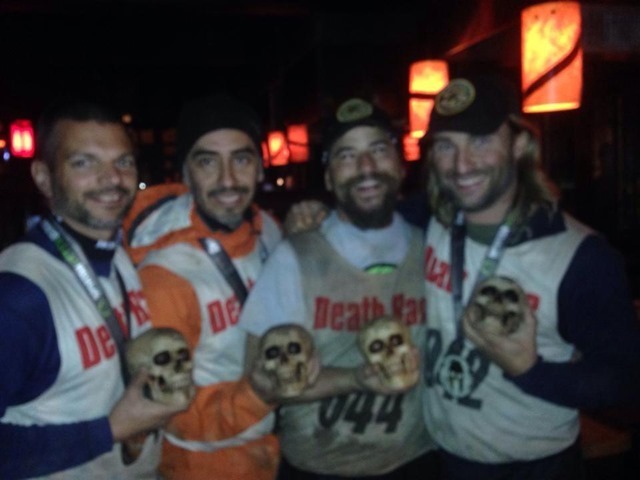 More recently saw the introduction of Team Death Race (a race for teams of 4 people) in VT and the Traveling Death Race that was held this year for the first time in Mexico. A period of “group” work that occurs before the race proper starts is a common theme. This might be a few hours, or much more than a day. The intention here is to tire you physically, to put you in a sleep deprived state, and also to frustrate the crap out of you. Often you won’t know that the race has started during this period too. These are the standard currency of a Death Race. Some races might see each individual completing 1000’s of these, others not so much. You should expect to be required to do burpees in sets of at least 100 though throughout the race. Winter Death race often contains many hours of some form of indoor exercise where, ironically, you will dehydrate and overheat. In previous years this has included hot yoga and ballet for multiple hours. Sounds easy. Its not. Lots of movement through hilly terrain, often under weight. 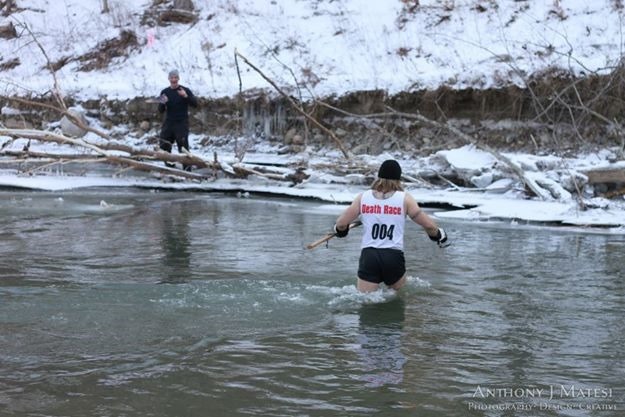 The race is always held among arduous terrain. Often you will be given a rock, sandbag, cement bag or other heavy item that needs to be carried for many miles over treacherous and/or hilly terrain. Often there will be water crossings, or nasty muddy terrain. This will induce blisters and maceration which can make your life hell later. Wood stoves are used throughout VT, and one of the ways to appease the local community has been to provide chopped firewood. Additionally Amee Farm and the Lodge heat themselves with wood fires. For this reason, and because it can be a brutal and frustrating exercise, wood chopping is a staple of the Death Race in VT (in Mexico a period of time was spent clearing vegetation with a machete – similar principal). For this task it is highly recommended that you get a quality axe, and more importantly learn how to use it. You can simulate the motion to train the appropriate muscles using a sledgehammer and a tire, but learning how to chop a round of wood effectively is a skill you don’t want to learn on the day of the race. – PROS: good price, durable and very popular, Easier to use and lighter than “Home Depot” maul. – PROS: supreme quality, cuts through wood like butter without needing a fast swing – gravity can do most of the work. Hickory handle is light and durable. Heavy, hand forged axe head retains sharp blade. To frustrate you, and you make you question the fairness of the race, there will be stupid tasks. You might have to navigate terrain under barbed wire, zip tied, or locate hard to find items under snow or in the forest. 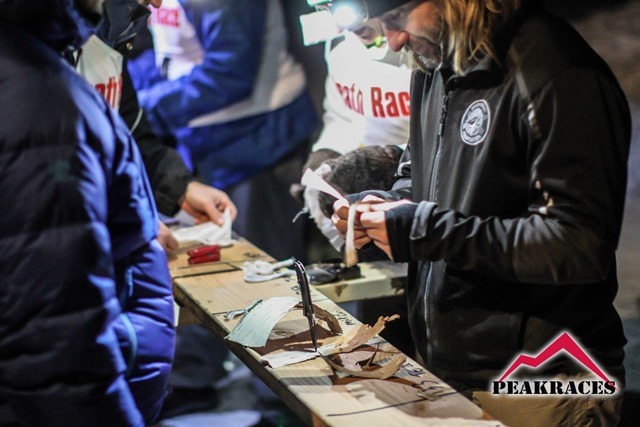 Tasks that require a modicum of luck are staples of the Death Race series and is one way that the organizers try to get under your skin, to find a chink in your armor. One year, for example, a bicycle was on the gear list, and people trained by doing a lot of mountain biking only to have to take their chain off at the start of the race and carry the frame for the remainder of the race. A lot of the Death Race revolves around the way of the Spartan Warrior. These warriors developed their minds as much as their bodies, and for that reason mental tasks such as puzzle solving, or memory tasks are also a staple. Often for memory tasks there is a significant route needed to get to and from the article to be remembered. Punishment for failure is to repeat until you get it right. I have seen these tasks send someone from the front of the pack to being so far behind they miss time hacks and are now out. Often times you will overhear conversation amongst race directors, or they will clue you in to future tasks. Sometimes it is legitimate, sometimes it is not. The key here is to assume everything but the current task is misdirection. Those are the main components of almost every Death Race. 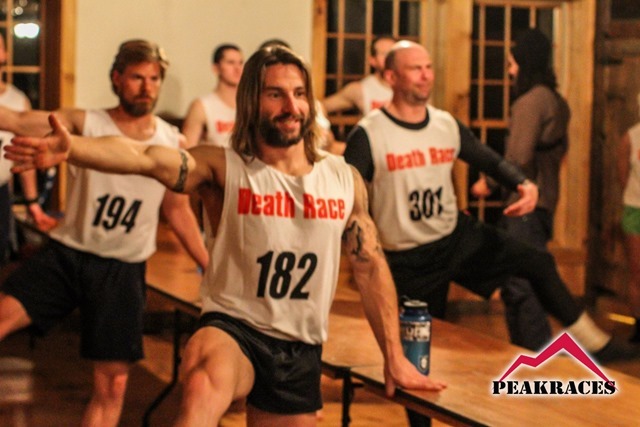 The Death Race is one of my favorite events for a number of reasons. First off, it helps forge mental and physical toughness. Mostly, though, it attracts a unique type of person. I have developed many friendships with amazing people through the Death Race series and even if I stop racing I will continue to attend the race as a volunteer, crew member or in some other capacity. I plan to perform a round-up test of axes in a future post. Pictures courtesy of Peak Races, AJ Matesi and other photographers – sorry if I forgot the credit.